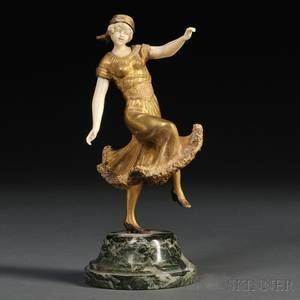 After Ferdinand Preiss (German (active Austria), 1882-1943). 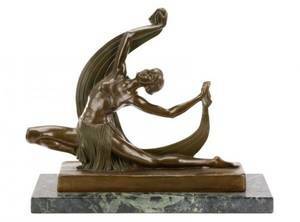 "Dancing Woman", bronze sculpture with marble base, signed "F Priess". 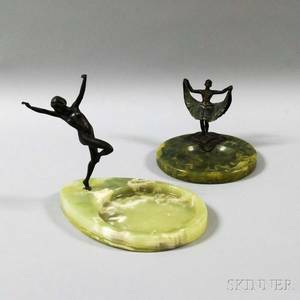 Art Deco figural bronze sculpture depicting female dancer or performer in exotic costume (brassiere and grass or paneled fabric skirt), with figure lunging forward with arms raised holding draping fabric overhead, with green striated marble base. 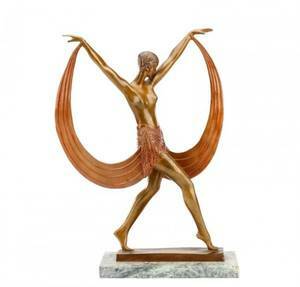 Overall approximately 16.5" x 19" x 7". 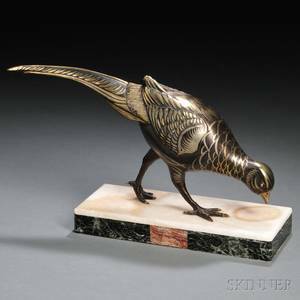 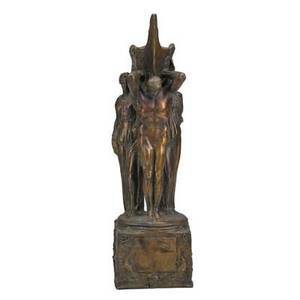 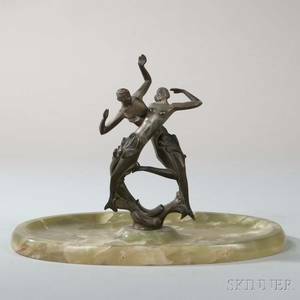 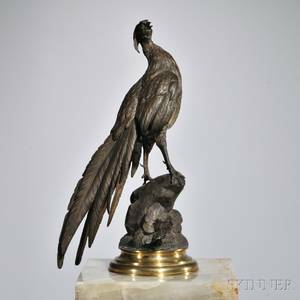 Continental bronze sculpture; art deco figural group, ca. 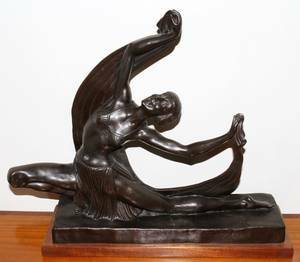 1930; 23"